Mobile sharing should be easy, and being away from your computer shouldn’t stop you from sharing the exciting moments in life. Our team has been working hard to ensure that sharing on Google+ works for you, no matter if you have a BlackBerry, Nokia, Windows phone, or any other Internet-enabled phone. Now you can post updates to the right audience, share photos, or explore interesting content on the Google+ mobile website by visiting plus.google.com from your mobile browser. Surprise celebrity sightings and epic sunsets happen while you’re out and about, and Google+ lets you upload photos straight from your mobile phone so you can share experiences in real time. With Google+, you don’t need to rely on wires or cords to share your photos -- you can quickly share life as it happens with friends and family. Access is important to us, so we wanted to make sure that you can stay up to date with Google+ via SMS if you don’t have a mobile data plan or Wi-Fi. It’s easy to enable SMS notifications the next time you’re online -- verify your phone number from the settings page (gear icon ) on the Google+ mobile website, and choose your notifications. And to make sharing a beautiful, easy experience, we’ve given the mobile website a top to bottom visual refresh that simplifies things by making the features you love more prominent. We’ve included a common action bar on all pages so it’s easy to post updates or toggle between circles so you only see content from the people you care about. If you like something, go ahead and +1 or reshare it directly from the stream. The end result is a mobile website that lets you share the moments that matter, from any device, anywhere. Aviary Music Creator: แอพพ์นี้ได้ให้พลังแก่ผู้ที่ชื่นชอบการสร้างงานคนตรี คุณสามารถเริ่มด้วยจังหวะหนึ่งแล้วจบลงด้วยการการสร้างผลงานเพลงฮิตติดหู จากเครื่องดนตรีที่มีมาให้เลือกใช้ฟรีๆ มากกว่า 50 ชนิด สร้างจังหวะง่ายๆ หรือผลงานเพลงชิ้นเอกด้วยการเคลื่อนเม้าส์ไปวางและคลิกที่หน้าอินเตอร์เฟซ ทันทีที่คุณได้สร้าง ผลงานเพลงฮิต ริงโทนใหม่สำหรับโทรศัพท์คุณ หรือแบ่งปันการสร้างสรรค์ของคุณด้วยการจัดการบันทึก ความเป็นไปได้ไม่มีที่สิ้นสุด ! Angry Birds: Birds! Slingshots! Destruction! Feathers! Fun! 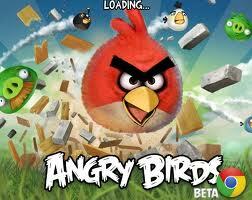 In this wildly popular game, the survival of the Angry Birds is at stake. Dish out revenge on the green pigs who stole the Birds' eggs. Angry Birds features hours of gameplay, challenging physics-based castle demolition and lots of replay value. Each of the levels requires logic, skill and brute force to crush those greedy pigs! Aviary Music Creator: With this powerful music creator, you can start with a beat and end with a hit. With over 50 free instruments, create simple beats or an epic masterpiece with a simple point and click interface. Once you’ve created a hit song, a new ringtone for your phone or remixed your favorite tracks for a party, you can collaborate with friends or share your creation with record execs. The possibilities are endless! Webcam Toy: Take photos with your webcam using over 60 free fun effects. Play with loads of fun camera effects and filters, take photos, download to save on your computer or post them straight to your favorite social network.